But from the acts mentioned, I don't think this is the same show you're looking for. 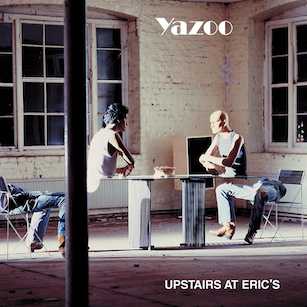 It's the 30th Anniversary of Yazoo's seminal release. Topic: Benjamin Russell -- "Miracle"
Re: Benjamin Russell -- "Miracle"
Glad to hear you are still alive and well and continuing to make music. I'll be sure to check out your website. I'm sure there are other CFNY fans out there, unaware of your new music. I'll post a story on my Radio Zazoo blog. This news may be a month or two old, but The Rock has allowed Marsden Theater to be podcast on iTunes. So, now you can find both Humble+Fred Radio and Marsden Theater on itunes, along with Radiojive at readiojive.com, to complete your neo-CFNY experience.